For a just over eleven minute EP, Burst the Curse is a surprisingly rough experience to sit trough. 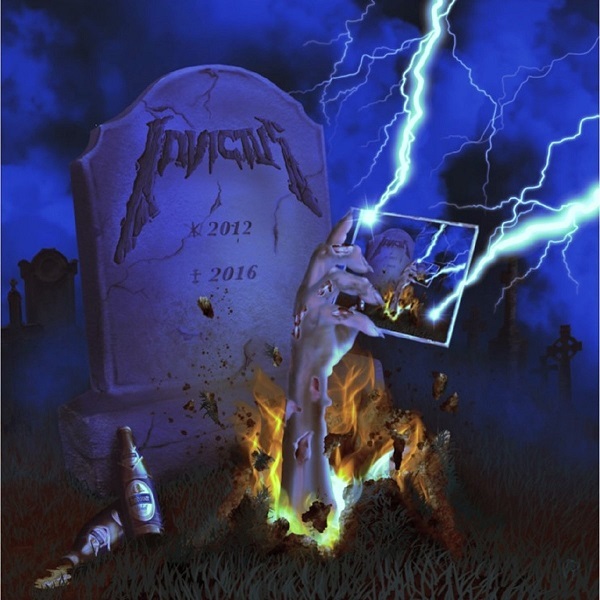 “Burst the Curse” introduces what Invuctus is trying to achieve, which is a blend of power and speed metal ideas. Musically the first half and conclusion are solid, though the lighter segment pre-guitar solo feels a bit forced and as pointless as the gang chants are fairly bland. Meanwhile “Someone Out There” pulls in a great deal of additional energy that makes the heftier, faster performance feel like the group actually enjoys this song in particular and put a great deal of time into it. A stark contrast to the acoustic “Gaia”, which stands more like toned down Angra or Manowar as opposed to the Helloween style that concludes this EP. Look, none of this is to say Invictus isn’t going to go anywhere. The band’s past releases show the musicians involved have the talent, but it just isn’t fully recognized in this debut outing. “Someone Out There” is really the only of the three worth checking out, and hopefully the group continues to move in that direction. Until that day comes, we have Burst the Curse, which is a rough start for experienced members (most of which have worked together in the past) in a new operation.